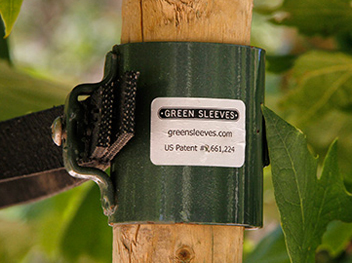 Green Sleeves Tree Staking Systems components can be combined to customize a fit for every type of tree and situation. 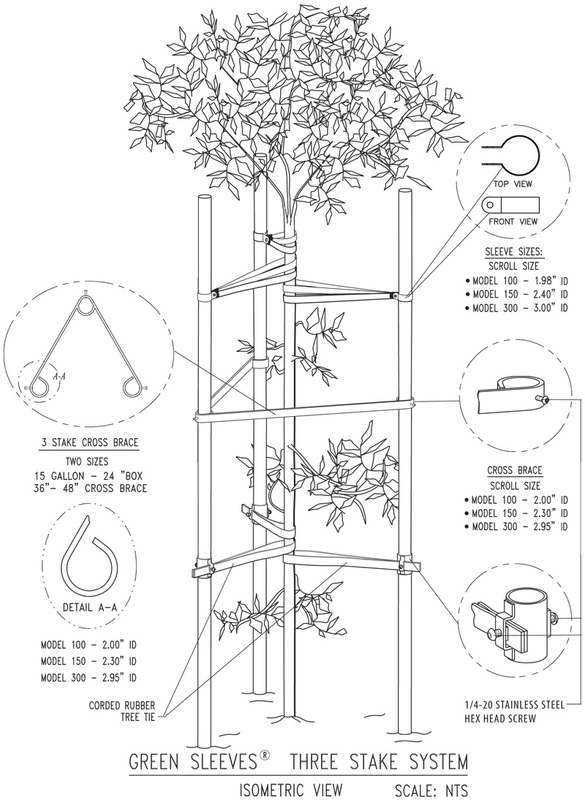 Please contact us to discuss the best tree-staking system for your project. Call (415) 863-8588 or email robert@greensleeves.com. We are looking forward to speaking with you. Green Sleeves features variations of 2, 3, and 4 stake systems components such as one of our 3-stake systems shown here. Typical components needed for various systems: We will be happy to discuss your project with you and to advise you of the best Green Sleeves tree-staking system to meet your needs. Please give us a call, 415.863.8588. How Green Sleeves Work The Green Sleeves Tie Sleeve comes in 3 sizes with easy 1-step tie adjustment. Watch animation of tree-staking installation featuring one of our 3-Stake Systems which utilizes our new Thin-Line Sleeves and Flex Ties.